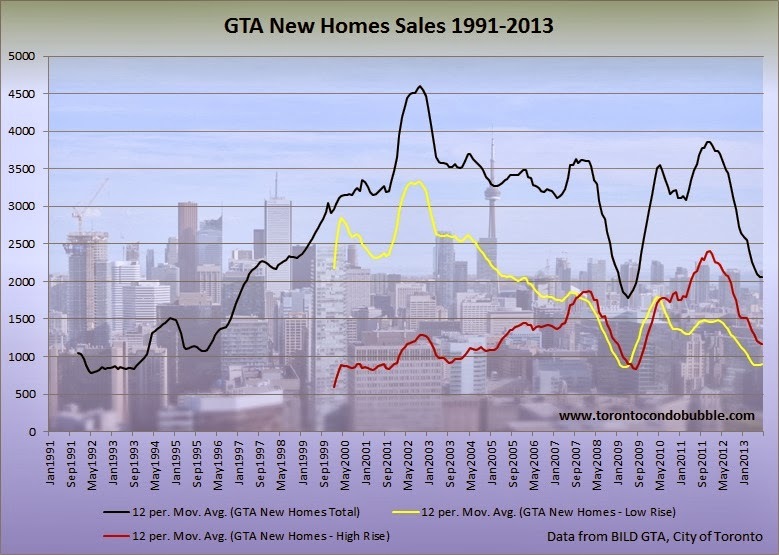 New home sales in Toronto have rebounded this past September but are still significantly below the long term average. Specifically, total new home sales were up 4.4% from Sept 2012, but down 22.1% from the 10 year average. Year to date total new home sales are down 25.7% compared to a year before. Third quarter sales were down 13.8% from Q3 2012 and down 33.2% from the 10 year average. Third quarter high rise sales were down 13.8% from a year before and were ~32% from the 10 year average. 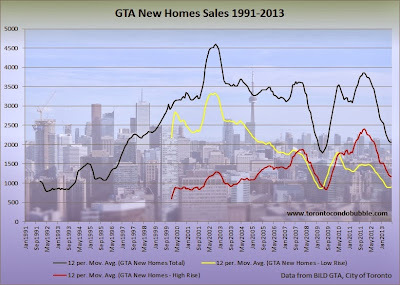 Overall it seems that new home sales have stopped free falling and reached bottom. New low rise prices were up 5.7% this past September from a year earlier. 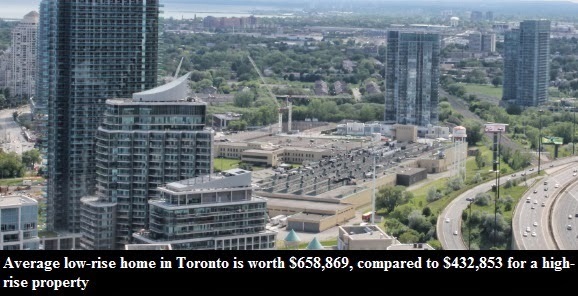 New high rise prices were down 1.5% this past September from a year earlier.